I’m not quite sure what drew me to this book (the low price helped), but the thought of a “corporate” thriller intrigued me. Apparently that is the type of book you get when an electrical engineer and Dr. Pepper addict decides to take a stab at a novel. Joe Tompkins was a normal guy, a software engineer working in the corporate world. Everyone has annoying coworkers, and one day, Joe couldn’t take it anymore and smacked his coworker, Gilmore, in the face with a computer keyboard (that part actually made me laugh… am I a sick person?) and started a domino effect. Joe hid in the bathroom, then fled the office building, thinking he was a fugitive. When no one tried stopping him, he decided to flee town and then maybe kind of robbed a bank (can you rob a bank if it’s your own money?). At the same time, Ned Dyer, also a software engineer, leads a pretty normal life but is always looking over his shoulder. Three years prior, he received a threat that told him to leave his job in Georgia and not tell anyone why he was leaving (and Ned didn’t even know why). Ned moved back to Illinois and started his life over and even gained a fiancée, Sue. One night at dinner, Ned got the feeling that something was wrong and he was right – Sue ended up getting kidnapped in the parking lot and Ned also got captured by members of the “Agency” for questioning. While my summary may not make this book sound like the most interesting book out there, I was hooked. If I tell you too much about the plot, it’ll give it all away. What I loved about this book was that it was told slightly out of order and each section was noted by date/time and focused mainly on the experience of one or a few characters. It made me pay attention more in order to try to piece together what was going on and how everything tied together. The book seemed really long compared to some of the other Kindle books I read (Amazon says it’s 372 pages) but a LOT went on. I wasn’t even halfway through the book and I couldn’t believe how much had taken place already. It kept me reading. Another thing I loved about this book is that I could relate to the characters in a certain sense. The characters were normal people who got caught up in a crazy situation. The one catch is that the book does get into some software programming descriptions and such, so that may be a turn-off to some people. I thought it was interesting. I did feel like the end was a little harder to read… maybe too much explanation and not enough action anymore. Overall, I think this was a great effort by first time writer, Josh McMains. I’ve heard that he may try to make a sequel, which would be awesome, since the end was left open for more to happen. 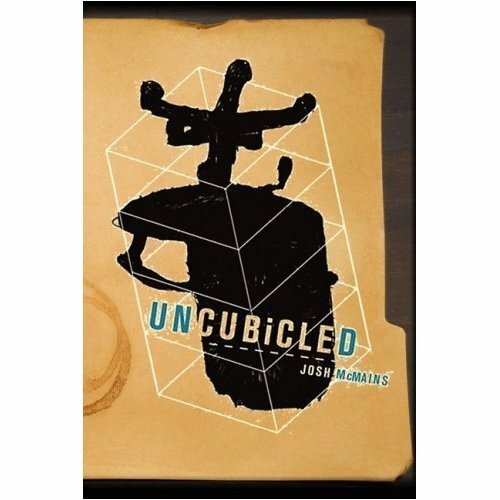 Just a heads up, if you’re looking to find this book, either buy it for the Kindle ($2.99) or you can also get a PDF version to download for only a few bucks on the website, www.uncubicled.com. Go out and buy the book so it’ll convince Josh McMains to write a follow up! Last week, I was in the mood for a chick lit book. I didn’t have any waiting for me to read on my Kindle, so I thought I’d use the handy dandy Random Number Generator to help me pick a book from the Chick Lit 100 for me to read. The number that came up was #30, so that’s what I read. “Frenemies” is about a Boston girl named Gus (short for Augustus) who is nearing the big 3-0. Her life is going great until she realizes her boyfriend, Nate, was cheating on her with her old college roommate, Helen. Gus actually catches them in the act – Nate’s housemate, Henry, lets Gus into the house one night when he knew that Nate and Helen were together kissing in the kitchen. Because of this, Gus has developed a deep hatred toward both Helen and Henry, but not Nate. Since Gus and Nate were friends before they started dating, Gus has to deal with running into Nate and Helen in public quite a bit because they still share the same social circle. Gus’s two best friends, Georgia and Amy Lee, are sick of Gus whining about Nate and Helen and tell her to grow up and get over it. That makes Gus even more angry, and to make matters worse, Helen is “stalking” Gus. Helen doesn’t understand why she and Gus aren’t friends anymore (um, she stole Gus’s boyfriend!). You see, Helen is one of “those girls”… one of the girls who everyone loves and is perfect in every way, but who can’t be friends with girls. This book was a pretty quick and easy read. Turns out, Megan Crane actually wrote it after watching the movie “Mean Girls“. 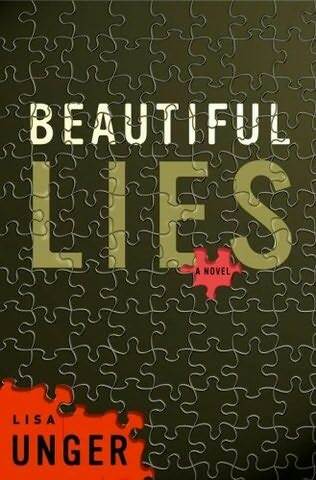 She thought that the movie didn’t show the worst of what can happen between girl friends and that’s what she set out to do in this book. At some points, I found Gus slightly annoying and agreed that she was acting like a teenager and not a 29-year old, but maybe that was the point. I wish that the characters would have been developed a bit more to add to the storyline a little. Overall, it was okay, but not my favorite chick lit book ever. Megan Crane has three other books published but nothing in the past few years. The reviews for the other books seem pretty decent on Amazon so maybe I’ll check one of them out next time I’m itching to read a chick lit book.